Just in time for the week of Earth Day, Winnipeg Public Library is introducing a new series Green it. Mean it. The goal of the series is to offer practical advice you can use to make better choices for the environment. How can I make my home more energy efficient? What renewable energy options, like solar, are available and how can I use them at home? How to xeriscape your yard? We’ll also be talking about zero waste living and green friendly food choices. To kick off the Green it. Mean it. series, we’re running four programs in May and June. Learn what’s available, what’s coming, which one is right for you, and where and how to charge it up! Presented by Robert Elms of the Manitoba Electric Vehicle Association. Learn to compost indoors with vermicomposting. Use red wriggler worms to change household organic material into nutrient rich worm manure. Fertilize and enrich garden and potting soil while reducing the amount of waste you send to the landfill. Presented by Green Action Centre Winnipeg. Bees are critical for agriculture and a healthy ecosystem. Learn about bee biology and behaviour, what to plant to help the local bee population, and what to consider if wanting to get into beekeeping yourself. Presented by Beeproject Apiaries. Could you live your life without producing any trash? That’s the goal of being a zero-waster! Discover more about this low-waste lifestyle from people who actually practice it. You will learn how to make less garbage and find out which resources are available to help. Presented by Zero Waste Manitoba. You can also register in person at your nearest library! Climate Justice: hope, resilience and the fight for a sustainable future. An Inconvenient Sequel: truth to power: your action handbook to learn the science, find your voice and help solve the climate crisis. Bikes vs Cars a documentary found on our Kanopy streaming service. Look for the guide in June and keep your eyes open for more green stuff. I’m going to let you in on the best kept secret in pop culture: there is a place that makes films and TV series reflective of our daily lives, but with none of the “punch up” of drama or the exaggeration of sitcoms. Next time you are looking for something new and different to watch, an Asian film or TV series is a great bet. There are numerous areas of Asian films: Korean, Japanese live action and anime, Taiwanese, Hong Kong, Mainland China–all with rich and unique traditions and styles. They all share a tendency to make more films and television shows about daily life as it is than any other medium save literary novels. It’s an intimidating field to try to navigate, and there are still many quality productions not in translation, but with streaming and home video, this avenue is more available than ever before. The library has a great selection in these areas and I hope here to provide some welcoming starting points or entertainment for just one night when you are looking for a break from your usual preferred watching! A frequent critic pick for best movies of the 21st century, In The Mood For Love offers a look at two individuals who live in the same apartment block, their spouses are having an affair and they are attracted enough to each other to consider having one themselves. This simmers at the back of their minds as they go to work and eat dinner, unsure of how they’d feel about themselves should they decide to do what they want, until finally a choice is made. A real slow burner, like a mystery that only comes together when you have the full puzzle. Another one on a lot of critic’s best of the 21st century lists is Yi Yi. This film steeps itself in the minutiae of life: caring for sick relatives, trying to learn a new skill at school, but blossoms to an epic due to the number of character story-lines in the film. It’s breathtaking to learn about a whole family instead of just a few members. The beating heart is a middle class family of four, it’s a difficult year for them that begins with a wedding and ends with a funeral, and each of them deal with the events in a different way. This film is a rare beast, about daily life, but breathlessly exciting, almost like a thriller. A Korean film, The Way Home is perhaps the smallest scale film on this list, dealing with only two characters for almost the entire story. A grandson stays with the grandmother he has never met for one summer. He has a real chip on his shoulder and while his grandma does her best to accommodate him, he isn’t sure he wants to make any effort to see past her being mute and living far away from any technology. If you are looking for a movie that will leave you grinning ear to ear, here it is. Japan provides us with Like Father, Like Son, an excellent introduction to acclaimed director Hirokazu Koreeda. An upper-class couple discover their young son was switched at birth with a working-class couple’s child. The father has a distant relationship with his son, so he’s determined to “switch” the children back to the birth families… permanently. This one is a real tear-jerker. Anime helps round out our list with In This Corner of the World, a drama that depicts daily life during World War II for one woman who has recently entered into an arranged marriage and moved to a town right by Hiroshima. The film is full of researched details about life at this time and features a strong emphasis on the different bonds between people. Looking for an inspirational watch about staying true to yourself in the face of hardship? This is the one. We also have some excellent books that can help you navigate these unique cinematic traditions beyond just the slice of life genre: Once Upon a Time in China, and Contemporary Japanese Film being the most aimed at those unfamiliar with Asian film and featuring the widest variety. Happy viewing and a very happy everyday life to you! Spring has sprung and the new fiction shelves are blooming with a heavy crop of new novels. Here are a few to get you started, or you can view the full list of New Titles for the last 3 months in our online catalogue. 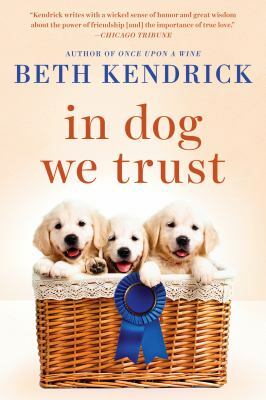 When Jocelyn Hilliard is named legal guardian for the late Mr. Allardyce’s pack of pedigreed Labrador retrievers, her world is flipped upside down. She’s spent her entire life toiling in the tourism industry and never expected to be living the pampered life in an ocean side mansion, complete with a generous stipend. But her new role isn’t without its challenges. Fatima is a concubine in the royal court of Granada, the last emirate of Muslim Spain. Her dearest friend Hassan, the palace mapmaker, has a secret: he can draw maps of places he’s never seen and bend the shape of reality. 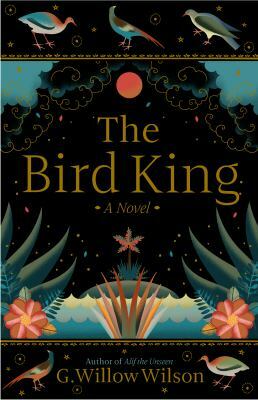 When representatives of the newly formed Spanish monarchy arrive to negotiate the sultan’s surrender, Fatima befriends one of the women, not realizing that she will see Hassan’s gift as threatening sorcery. With their freedoms at stake, what will Fatima risk to save Hassan and escape the palace walls? 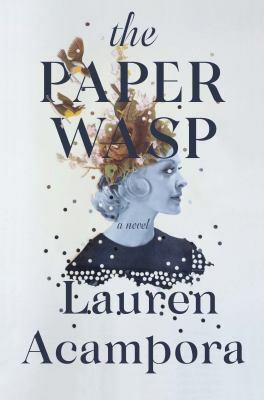 Beekeeper Holly McNee Kensen quietly lives in a world of her own on Sullivan’s Island. 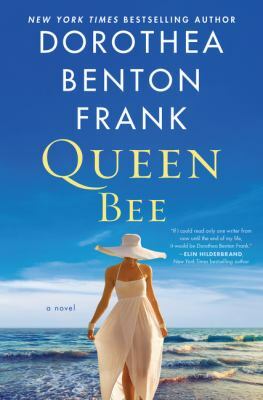 Her mother, The Queen Bee, is a demanding hypochondriac; to escape the drama, Holly’s sister Leslie married and moved away, wanting little to do with island life. Holly’s escape is to submerge herself in the lives of the two young boys next door and their widowed father. When Leslie returns to the island, their mother ups her game in an uproarious and theatrical downward spiral. A classic Lowcountry Tale–warm, wise, and hilarious. 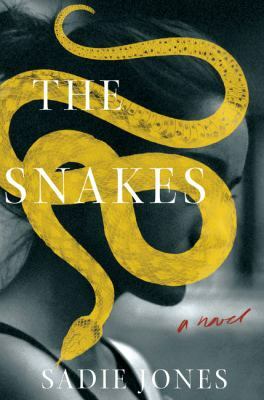 A darkly funny, seductively strange novel about a lonely graduate student drawn into a clique of rich girls who seem to move and speak as one. Samantha Heather Mackey couldn’t be more different from the other members of her master’s program at an elite university. 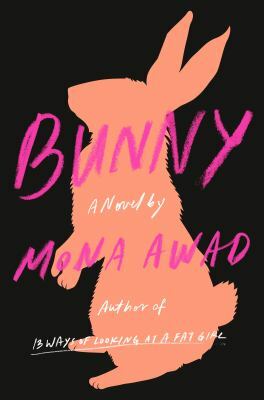 A self-conscious scholarship student, she is repelled by the rest of her fiction writing cohort–a clique of unbearably twee rich girls who call each other “Bunny.” But everything changes when Samantha receives an invitation from the Bunnies and finds herself drawn as if by magic to their front door. As Samantha plunges deeper and deeper into Bunny world, the edges of reality begin to blur. Driving through France, recently married Bea and Dan visit Bea’s brother at the hotel he runs in Burgundy. When her parents make a surprise visit, Dan can’t understand why Bea is so appalled, or why she’s never wanted him to meet them; Liv and Griff Adamson are charming and rich. Maybe Bea’s ashamed of him, or maybe she regrets the secrets she’s been keeping… Tragedy strikes suddenly, brutally, and in its aftermath even Bea with all her strength and goodness can’t escape. 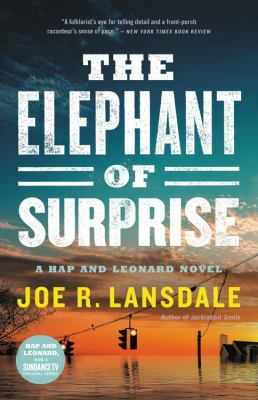 Hap and Leonard are an unlikely pair–Hap, a self-proclaimed white trash rebel, and Leonard, a tough-as-nails black gay Vietnam vet–but they’re the closest friend either of them has in the world. Amidst the worst flood East Texas has seen in years, they save a young woman from a mob hit, only to find themselves confronted by an adversary who challenges their friendship. Once a bright student on the cusp of a promising art career, Abby Graven now works as a supermarket cashier. Each day she’s taunted by the success of her former best friend Elise, a rising Hollywood starlet. When Abby encounters Elise again at their high school reunion, she’s surprised and touched that Elise still considers her a friend. Ever the supportive friend, Abby becomes enmeshed in Elise’s world, even as she guards her own dark secret and burning desire for greatness. As she edges closer to Elise and her own artistic ambitions, the dynamic shifts between the two friends–until Abby can see only one way to grasp the future that awaits her. Posted in Seasonal, What to Read Next? Snow. But it’s spring! Sigh. I was lucky this year; I was able to visit Cuba for the first time. Wanting to escape this frozen city, I thought leaving in late March would be timely enough to come back to spring. Instead, I got back to fake spring…you know… when you get a warm day or two and then it snows? Fake spring. Or Winnipeg’s cruel idea of an April Fool’s Day Month joke. To beat those winter blues (or in our case, spring blues) you need a getaway. A tropical, sun-filled, exotic getaway. If budget is an issue, then WPL has everything you need to visit Cuba as an armchair traveler. Here’s how to plan your adventure. You know you are in Cuba when you see cars from the 50’s driving by. Locals do everything they can to keep them running since new cars are beyond the affordability of everyone except the government, the military and the diplomats. We hired a local company and were picked up in style in a 1950 Chevrolet Styleline. Rémundo, our chauffeur (and also a welder, electrician, upholsterer, painter and mechanical engineer) explained to us that he and his Dad had replaced the motor with a diesel one, used Hyundai parts to keep it running and installed an air conditioner in the grill and a GPS on the dashboard. To get a visual of the Cuban surroundings, borrow Cars of the Fantastic 50’s. A holiday is not a holiday without some Cuban Cocktails. Rum is the spirit of choice and there are two popular local varieties: Havana Club and the pricier Santiago de Cuba. They come in a variety of flavours and colors which range from clear to a rich chocolaty brown. Our tour guide Ardita (and also a university professor of foreign languages) tells me that each one is used for different cocktails; the clear rum is best for mojitos, the buttery 3 year rum is used for piňa colatas and the caramel 5 year old rum is used for Cuba librés (essentially a rum and coke with a twist of lime). The 7 year old rum is best for sipping straight – it’s the good stuff! But don’t drink on an empty stomach. Cuban food is simple but tasty and easily re-creatable here at home with some of our recipe books like The Cuban Table. Ardita and Rémundo brought us to the most wonderful local restaurant in Matanzas, the Bella Vista where we had a table for two on the edge of the bay. The main plates were a large portion of meat: we chose from lobster, shrimp, fish or chicken. Side dishes consisted of white rice or rice and beans. My favorite take-away was how Cubans serve their salad. A large plate of veggies arrived: shredded cabbage, carrots and lettuce, chopped onions, cucumbers, peppers, tomatoes, beans and pickled beets along with two bottles, one of oil and one of balsamic vinegar. So simple, yet delicious! But what about the beach? Sure Varadero is gorgeous, blue skies and white sand, but a day at Grand Beach in midsummer is comparable. I know, it’s fake spring and the hot weather is a distant memory. Until then, you can get the scenery of Cuba by immersing yourself in some photographic books like Havana History and Architecture of a Romantic City . Or install a Varadero screensaver to warm your heart and avoid looking out our own desolate windows as we wait for our glorious summer. But perhaps you need more than photos. Dive into Cuban culture by reading fiction from some of the local authors. In the Cuban episode of Parts Unknown, Anthony Bourdain interviewed Leonardo Padura who is known for his mysteries set in Havana. You could also delve into the novels of José Latour who decided to write in English after being labeled an “enemy of the people” by the Cuban government. If you prefer something more classic, The Old Man and the Sea is a good choice as Hemmingway wrote it while he was living there. Need something more political? You might enjoy a graphic novel about Castro or a biography about Che. Statues of Jose Marti are everywhere in Cuba since he is considered a national hero. We viewed one where he is biting a sword to depict his ability to cut with words; you might appreciate his Selected Works. Or you could decide to host a Cuban party instead. Entertain your guests with some hot Cuban music! Grab some cd’s from WPL’s collection of Cuban musicians: Buena Vista Social Club, José Ferrer, Omara Portuondo, Ernesto Lecuona, Chachao or Manuel Mirabal Vazquez. Surround yourself with the beautiful Spanish language! In fact, learn some Spanish with our help; WPL has an info guide with dozens of resources. I downloaded the DuoLingo app and managed to learn common phrases, how to order in a restaurant, get around at the airport and ask simple questions (Dondé es el baňo?). Your trip to Cuba on a shoestring would not be complete without a Cuban cigar. If you don’t smoke, you can enjoy a short documentary called With a Stroke of Chaveta on our Kanopy app. It takes you into the world of tabaqueros who cannot imagine working, rolling cigars, in the factory without someone reading to them. Those Cubans, so literate! They actually have one of the highest rates of literacy in the world. So, we may skip from winter to summer this year, but we can enjoy the beauty, flavours, sounds and sights of Cuba with a simple trip to the library. No budget required. That’s the question on everyone’s mind these days – who will be the winner in this year’s MYRCA vote? The competition is always fierce, but it’s even more so since this year there will be not one but two winners. There are two categories for MYRCA readers, Sundogs for grades 4 – 6, and Northern Lights for grades 7 – 9. The voting began March 18 and will continue until midnight April 10. 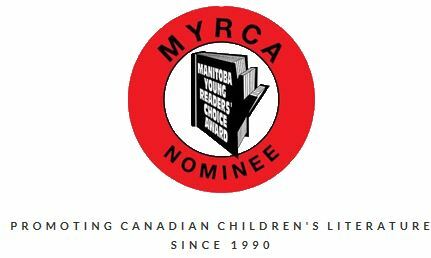 Throughout the year, the MYRCA committee members devote countless hours reading wonderful books by talented Canadian authors. It’s a tough job but somebody’s got to do it. The committee members meet once a month to talk about what they’ve read. Over time more and more lists are created, which are then distilled into the final list for the year. From that point on, the students are the ones doing the reading and discussion, then it all comes down to the penultimate moment when they fill in the ballot for their favourites. The hardest part by far is waiting for the announcement of the MYRCA winner for the year. In Jenson’s dreams, he has no problem being brave, but real life is harder. Things like finding a partner for a class project and Math are super scary. When Jenson joins the school newspaper things are still scary, but also surprising. When Chase wakes up with amnesia his mind is filled with questions. Why does his Dad make him nervous? Why is his stepsister scared of him? The stuff in his room tells Chase he’s a middle school hero, but that’s not the whole story. Kamzin jumps at the opportunity to map the tallest, deadliest mountain in the kingdom. But when her sister sets off on her own to climb the mountain, Kamzin has a choice to make; save her sister from certain death, or beat her up the mountain for the glory. Cam’s life is all about being someone he’s not. He and his dad are rent-a-relatives who act as friends and family members for paying customers. Pretending to be someone else was working for Cam, until he meets Albertina and Raylene, and starts to discover who he really is. V-O-T-E! Who will the winners be? You’ll just have to wait and see. For many of us, clean water is so plentiful and readily available that we rarely, if ever, pause to consider what life would be like without it. April 6th 2019 marks the 100 year anniversary of clean water from Shoal Lake first flowing out of the taps in Winnipeg homes. The postcard below from the Rob McInnes Postcard Collection features the intake of the Shoal Lake Aqueduct near the Manitoba-Ontario border. The aqueduct was built by the Greater Winnipeg Water District between 1914 and 1918 and still serves Winnipeg today. Using gravity, it moves water through approximately 135 kilometers of concrete conduit from Shoal Lake to the Deacon Reservoir just east of the city; a pressurized system then distributes water throughout Winnipeg. Just imagine how this would have changed the lives of Winnipeggers 100 years ago. In the early days, water from the Red and Assiniboine Rivers was simply taken and carried in barrels by horse-drawn wagon. Then, from the early 1880s until 1898 The Winnipeg Water Works Company supplied and distributed water; its source was the Assiniboine River, just downstream from the Maryland Bridge. After the City bought out the Water Works Company, water was supplied by an artesian well system from 1899 but it only provided a limited supply. Contaminated river water from the Assiniboine was still used for emergencies like fires. The problem was, after pumping river water into the mains, illness would follow. There was a typhoid fever epidemic in 1904 and clean water became a priority for Winnipeg’s growth. Although the well system was expanded it simply couldn’t keep up with the city’s rapid expansion and the search for a source of clear, soft water began. Shoal Lake was chosen for its high quality water, despite its distance from Winnipeg and the cost of the project. Fortunately, because of Winnipeg’s boom around the time the aqueduct project began, it was built large to serve the future “Chicago of the North” which is how the system is still able to serve our city. For a variety of Winnipeg postcards, many from the early 1900s, browse PastForward, our digital public history. Visit the Local History Room on the fourth floor to see some of the original documents relating to the construction of the aqueduct. While Winnipeggers are fortunate to have clean water to drink, the building of the aqueduct has had some unfortunate consequences for members of another community. Shoal Lake 40 First Nation is located on a peninsula that was cut off from the mainland in order to divert the murkier waters of the Falcon River away from the aqueduct’s intake. Shoal Lake residents received a running water system in the 1990s but experienced a cryptosporidiosis outbreak shortly thereafter. Having no roads made it very difficult to organize the completion of a necessary water treatment plant. 18 years is a very long time to be under a boil-water advisory but steps are being taken to connect Shoal Lake 40 to the mainland. Two all-season bridges have been completed and construction of Freedom Road has reached the Trans-Canada Highway to allow community members to safely access goods and services. The community is now raising awareness of the need for clean water. Drinking bottled water should only be a short term solution and the Canadian Government has pledged to end long-term drinking water advisories on First Nations reserves by March 2021 (click the link to see the progress so far). If you would like to learn more about Shoal Lake 40 First Nation and their history surrounding the Winnipeg Aqueduct, check out Adele Perry’s book Aqueduct: Colonialism, Resources, and the Histories We Remember. Dear Readers, did you know that April is National Poetry Month? To celebrate, Time to Read is exploring all of poetry. Too broad? Well, we’ll just explore as much of poetry as we can in an hour. But as usual, we want your help. We’d like for you to share your favorite poems with us—and of course tell us why they’re your favorite. You can let us know on our Time to Read Facebook group, our website wpl-podcast.winnipeg.ca, or by writing to us at wpl-podcast@winnipeg.ca. And, if you need a good place start, or are just curious what the Time to Read team will be reading during National Poetry Month we’ve each selected one poem in one book by one poet that we’d like to spotlight. And, in the tradition of recent social media trends, I’m going to share one stanza from each of our poems with no explanation—that is until the podcast! Of all the thunderous ages, you’re the heir. One last thing: if you weren’t able to make it to our live podcast event (or if you just want to re-live the memories) the recording of “But I don’t Wanna Grow Up! Favourite Childhood books” is available today! I don’t want to spoil too much but, Elizabeth from The Paper Bag Princess won our first ever book battle. 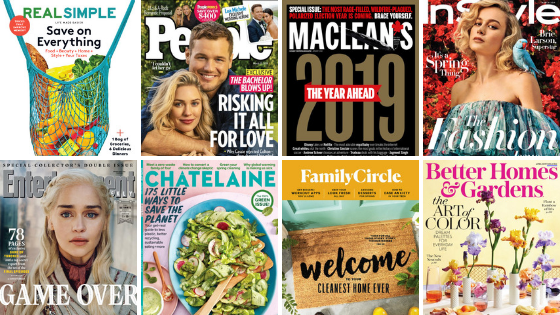 You might’ve heard that we offer eMagazines, but if that’s where your experience ended know that we can help you save money in the grocery aisle, save some trees, and help you step away for good from your guilt-inducing piles of magazine back issues. Because let’s be honest, getting rid of a National Geographic magazine is easier said than done! The news: With your library card you can access three eMagazine services that offer a total (as of today) of 3,945 magazine titles. There are magazines for all interests: art, automotive, boating and aviation, business, current affairs, travel, design, entertainment and TV, LGBTQ, home and garden, history, science, news, photography, fitness, spirituality, music, and sports. To keep things simple, I’m going to point out key features of each service and highlight popular service-specific titles. But if you’re looking for a niche title, please give these services a search. There are a lot of gems! I’ll also share links to step-by-step directions to help you connect with the service(s) on your computer or mobile device. If you prefer personalized help, please schedule a one-on-one appointment with us. We’re always happy to help you get these services set up. Languages: So many! Chinese, Arabic, French, German, English, Spanish, Russian and more. Borrowing limit: Borrow as many as you like. Borrowing period: Borrow for as long as you want. With more than 3,700 titles this is just a snapshot of the many great publications you can get with PressReader. How do I connect to PressReader? Do I need an account to use PressReader? How do I create a PressReader account? How do I set up the PressReader app? Can I view PressReader newspapers and magazines in different ways? Languages: Yes! Chinese, Dutch, English, French, German, Italian, and Spanish. 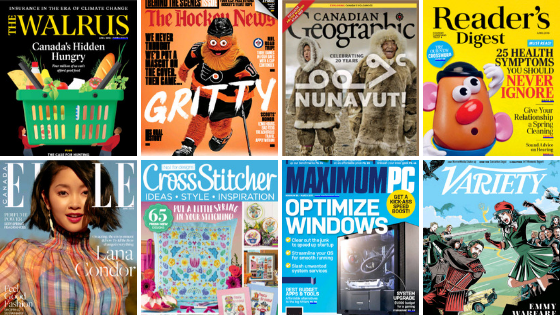 There are so many more titles you can find with RBdigital like Family Handyman, Good Housekeeping, Men’s Health, The Economist, Popular Mechanics, and O Magazine. And a very helpful feature of RBdigital is that you you can set it up so that when a new issue comes out it’ll automatically borrow it for you! Languages: Mostly English. Chatelaine comes in English and French. 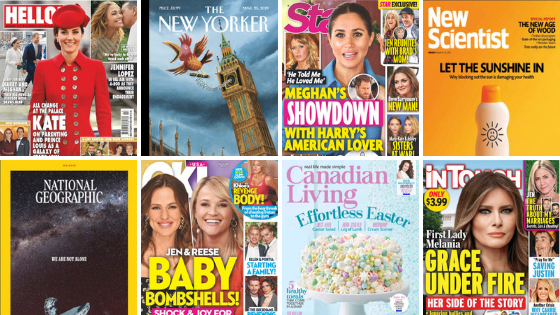 Borrowing period: Borrow monthly magazines for 7 days and weekly magazines for 2 days. How do I get set up on Flipster? You can’t beat having a good magazine pile to access when passing time in a waiting room, but you don’t need to have them at home. Save space, money, and trees by borrowing the electronic version from us! Plus, for two of these services (PressReader and RBdigital) you can keep borrowed issues for as long as you like, so bookmark those favourite recipes, DIY projects, and exercise plans and revisit them again and again. When I was in library school, I took a class called Materials for Young Adults. We read classic YA literature like J.D. Salinger’s The Catcher in the Rye and Judy Blume’s Forever, but also enjoyed newer selections like John Green’s Looking for Alaska and Caroline Pignat’s Shooter. 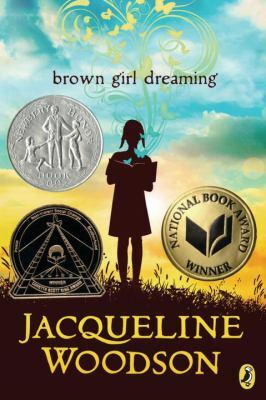 The book I enjoyed the most was a novel written in verse called Brown Girl Dreaming. Jacqueline Woodson uses the strengths of poetry, fiction and memoir to write a beautiful story about growing up black in South Carolina and New York during the 1960s and 70s. After reading this book, I thought: “If this is what YA literature has to offer then I’M IN!” While I don’t usually buy books, I had to make an exception here – when you want to underline every word and dog-ear every page, it seems like a necessary purchase. I shied away from reading YA literature in the past because I felt like I wasn’t the target demographic and if I’m being honest, I held some stereotypes about the genre. But the books I read for that class reaffirmed for me that a) YA stories are just as important and beautifully written as their adult counterparts and b) everyone should just read what they enjoy – life’s too short to read what you think you should. As a result, I’m on a bit of a YA kick! 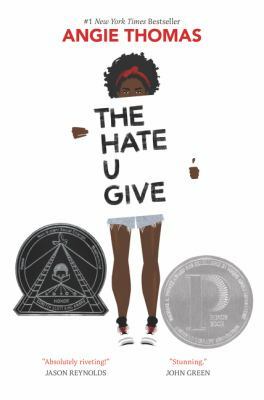 What better book to look at next than Angie Thomas’ The Hate U Give, a novel I continue to hear about over and over again. Starr is a 16 year old girl who feels caught between two worlds – the mostly black neighborhood she lives in and the primarily white private high school she attends. After her childhood friend is shot by a white police officer in front of her, the space between these two worlds becomes even more noticeable. We watch Starr navigate life after death, walking beside her in both grief and frustration. This novel lives up to the hype, filled with equal parts heartbreak, hope, anger and activism. 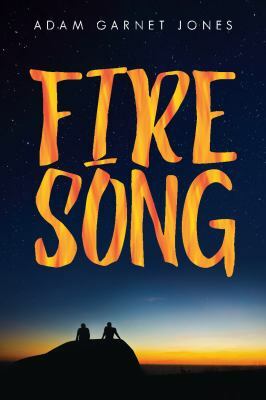 Currently, I’m reading Adam Garnet Jones’ Fire Song. After mentioning that some of my favourite books are by Indigenous writers, a co-worker suggested this novel about a young Anishinaabe boy, Shane, who is trying to keep everything together after his younger sister commits suicide. Shane’s mother won’t leave his sister’s room and both are guilt-ridden for missing any warning signs. Shane needs to deal with his own pain but instead of sharing his grief with his girlfriend, he wants to seek comfort from David, his secret romantic partner. On top of everything he’s dealing with, Shane’s dream of attending university is threatened. Just like Starr, we root Shane on as he tries to create a life for himself after a devastating loss. What’s the next book on my YA list? I’m excited to lighten things up with the novel that inspired last summer’s Netflix hit, To All the Boys I’ve Loved Before. The movie follows Lara Jean, the middle child in a family of three girls. When letters Lara Jean had written to past loves are mysteriously mailed out, she has to face the ghosts of crushes past. More than just a fun teen romance, I also enjoy the fact that our protagonist is part Korean but her character and choices are in no way defined by being Asian. I look forward to seeing how Jenny Han originally envisioned this story, and also plan to devour the two sequels, P.S. I Still Love You and Always and Forever, Lara Jean. This year I made an amazing discovery. I tried my first podcast, which, naturally, was Winnipeg Public Library’s Time to Read. Through this discovery I realized what all the excitement and fuss about podcasts was about. I can now say that I am a faithful listener to the Time to Read podcast, though I haven’t always read the books discussed, as the easy banter between hosts is excellent and I always learn a few new things every time I listen. After realizing how amazing podcasts are I decided to further explore this sensation that has been around for a while (and which people have been talking about for years, I know, I’m a bit slow on the uptake). As I have mentioned many times before in my blog posts, I am a lover of horror novels and certain horror movies, some are too scary for me to watch, as my sister can attest,* books are okay though. I get goose-bumps, I sometimes am disgusted, but usually, usually, I’m okay sleeping with the lights off after devouring a horror novel. Yet I digress. So I am a fan of horror novels, I bus to work every day, and I am unfortunately prone to car sickness if I attempt to read on a moving vehicle. My solution? Audiobooks or, handy, dandy podcast episodes which are just like audiobooks and offer often short, quick hits that help pass the time on my commute to work. Both are easy enough to download to your phone, MP3 player (I think those still exist?) or iPod and listen to offline throughout the day. The library offers a wonderful selection of eAudiobooks through Overdrive and RBDigital, simply download the app and you can listen to them offline, and best of all, no late fees! This podcast features real-life scary stories taken from the history books. For all the history buffs out there or true crime fans, this would be an excellent podcast for you, if you like a little bit of unease or creepiness alongside those genres. In the creator’s own words: “Lore exposes the darker side of history, exploring the creatures, people, and places of our wildest nightmares.” If that doesn’t hook you, I don’t know what will. One of the episodes I listened to discussed the “re-animation” of a corpse, and naturally mentioned Mary Shelley, her husband Percy, and how his study of re-animating a body with electricity brought about her idea for Frankenstein. With this podcast there is no need to listen to the episodes in order, each is a stand-alone. Want more Lore? Creator Aaron Mahnke has written a book, Wicked Mortals which includes illustrations and further information of some of the creatures and people discussed in the podcast. This podcast thriller/mystery story follows a trucker who is searching for her partner, Alice, whom she is certain is not dead (hence the title!). Through strange towns, meeting serial killers and witnessing devastating events where Alice seems to always show up, we follow her on her search for answers. This podcast has an excellent voice actor, some great sound effects that truly bring you into the story and fills you with suspense. Unlike the others on this list, this podcast must be listened to in order to follow the development of the story and to help unravel some of the mysteries. This podcast is part of Night Vale Presents, which also produces another podcast series on this list. Alice Isn’t Dead is also available as a book, which is described as a complete re-imagining of the podcast, and written by creator Joseph Fink. These podcasts are fictional short stories written by a variety of writers, including some well-known authors such as Carrie Vaughn, Christopher Golden, Clive Barker, Jonathan Maberry and Kelley Armstrong. With such an A-List of authors as well as some fantastic up-and-comers, many of these episodes are top-notch, some of course may be better than others, or more your cup of tea than others, if that’s the case, simply skip to the next episode as each is a stand-alone. With a variety of narrators you will be sure to find a story that will give you the chills and make your heart race. If you like the stories from this podcast, as many are by well-known authors, simply search our catalogue for further books in their repertoire, we have plenty to keep you reading long into the night. This excellently written and acted podcast takes place in a radio broadcast centre in, you guessed it, a small town called Night Vale. Though characters do reappear in different episodes, it is not required to listen to them in a particular order and, if you’re not enjoying a story, simply skip to the next one. Let me allow the creators to describe this podcast in their own words: “[Welcome to Night Vale] is a twice-monthly podcast in the style of community updates for the small desert town of Night Vale, featuring local weather, news, announcements from the Sheriff’s Secret Police, mysterious lights in the night sky, dark hooded figures and unknowable powers, and cultural events. Turn on your radio and hide.” Want to read more Night Vale and delve deeper into the mysteries? Creators Joseph Fink and Jeffrey Cranor have published a couple books about the legends discussed in their podcast titled It Devours! and Welcome to Night Vale: A Novel. This podcast doesn’t have as many stories as some of the others mentioned here, only a few are released every year, but the stories themselves are truly frightening and bone-chilling. Each episode is narrated by a single person, explaining the event from their point-of-view to offer a creepy first-hand account of a range of different supernatural stories. The stories here are top-notch horror and range in length from just a few minutes to over an hour, which makes for a perfect listening experience on your commute, you can time it to end perfectly! If you’re a fan of The Twilight Zone many of these stories follow similar tropes.